Last month, on 21st March, our golf startup Deemples was featured on BFM89.9‘s interview with Richard Bradbury. It was for the program called Open For Business, which is part of the Enterprise program. In this program, they share personal business stories of entrepreneurs, from early-stage startups, all the way to billionaire octogenarians in Malaysia and abroad. 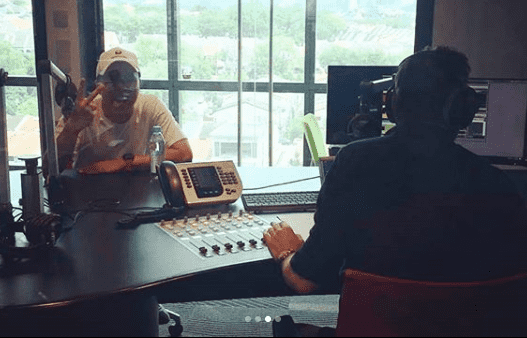 Listen to the full interview on BFM89.9 Radio here. But if you’re like most people and only have a few minutes of your time to spare, here are some the most interesting excerpts of the interview and best questions asked and the answers – just for you. Q: So Deemples (golf startup), am I right in saying it’s like the Tinder of golf? Deemples: I would say it’s a lot more like the Uber of golf. A lot of people say Tinder, yes because you kind of find each other to play golf with. But I say Uber, more because in tinder you have to match and then you decide if you want to play. Where in Uber you are stating a specific time and place, so that in effect is how I say is just much closer to Uber, than Tinder. Q: Ok, tell me how the idea came around? Deemples: So as what you said earlier it’s not very easy to get into golf. So I didn’t come from a golfing family. A lot of people that start golf – they golf because their family golf, their friends golf and they get them into golf. But I didn’t come from a golfing family so it’s very weird that I’m into golf. I was 25 at that time and I was looking at golf, this sport like – Wow! Hmmm… this sport is a bit distant to me. Deemples: Yes that’s right! But I did find a few friends that wanted to explore it with me, so we went on to the driving range to hit a few balls with a borrowed set from a friends’ dad, took some lessons. Then I started to like it, and wanted to go more, and even get on the golf course! But sadly, my friends weren’t as interested as me. There were many excuses (for people not to golf) – too hot, too expensive, takes up too much time, meetings, kids, wives, etc . So if my friends couldn’t golf then I couldn’t golf. And that was the problem. So that was 10 years ago. Ten years later, I did manage to make some golf friends (chuckle). And that time without Deemples. But the same problem still persists. They can’t golf whenever I want to. I got frustrated. So I was thinking, in today’s digital age, somebody would have built something out there that I could just use. Then I was looking around and there wasn’t. I thought to myself, well building something like that couldn’t be that hard, right? Q: It can’t be that hard right? Deemples: If people have built it for cars, for passengers, for riders, drivers (Grab/Uber/Lyft/Ola), food (FoodPanda, Deliveroo, Honestbee, SmartBite) and everything. Why can’t people do it for golf? I came from the digital industry, and was kind of familiar with building or knowing how apps work, digital marketing, etc. I started drawing things out how I imagined a platform for golf would look like. We didn’t even plan for it to be an app (in the first place). After drawing the plan out, went to a few friends to see if they could help build it, but it took a long time because I’m guessing they were all doing it part-time. And after a whole year, we didn’t continue, because we decided we weren’t the right fit (team) for each other. Long story short, after failing once, it was very easy to give up. But we didn’t and continued to push through, then we made it happen. Q: Ok, let’s just pause for a second there, the word failure always excites me. What went wrong the first time around? Deemples: So the first time around. The only access to any software developers or designers that I’ve had was from my previous company. I was asking for their help and what I realised was how important project management was, and they all did not have that specific experience. They all had development that design experience, and very good at it too. So they didn’t know how to manage a client because they were always employee, being told what to do. But now, they had to manage a client. Communications weren’t clear, and expectations weren’t aligned. So towards the end of it it was like, man… this is not working out. I could either just call it quits, and continue in my day job, or find someone else that could help. So I decided, it was still a problem that I wanted to solve. So we pushed on, and finally found the partners that we have today. I sat down with them, which were old high school friends who have been in the software development, digital marketing agency business for about 10 years, and told them about the idea. What I thought would come out from it a referral to another software engineer, advise, and price estimates, turned out much better – I got myself a tech partner who wanted to ride the journey with me. Q: So just quickly, Deemples – the name, tell the people at home what Deemples means. Deemples: The holes in the golf ball? Those are called dimples, but it’s spelt as D-I-M-P-L-E-S. But of course, we had to do a play on the word, so that we can get domain names and brand names and all that kind of stuff. So yeah Deemples kinda stuck. Q: So how many golf courses are you covering right now? Deemples: We don’t have any commercial relationships with the golf courses. It’s not like how many golf courses we work with. It’s more like how many courses would we make available on the app. Deemples: We have had the app downloaded about 17,000 times and every month about 3,500 people use the app per month. Richard: Is that exceeding your expectations?. Deemples: No, I always needed to be more! Q: At what point do you pay back your developers, marketing. Once you have burned through savings and loans, how do you turn your idea into a profit? Deemples: So we’re very fortunate that we started with RM30,000 but then we actually raise a few rounds of investments through angel investors, friends that have put in a little bit of money as we’ve gone along. So that’s how we’ve been funding ourselves to pay our designers, developers, marketing, marketing budgets, and all that kind of stuff. Are we making revenue right now? No. There has been a plan since day one so we didn’t get into this because it was just purely for passion. Yes, you know I do this because of passion. The mission is to help people play more golf, whenever and wherever. But that doesn’t put food on the table. So it was a proper business from the beginning. But just like any B2C kind of business, it’s very hard to get revenue right away. So what we’re doing instead of doing a “chicken and egg” just like Grab, you have riders and drivers, you have to get both at the same time. For Deemples it’s a little bit easier because we’re solving the problem on one side first – the golfers. So we’re just solving all the “chicken” first. We’re getting all the golfers together because that’s where the problem lies. Once we’re done with that which we’re going to move to phase 2 pretty much this year, where we connect the “eggs”, which are the golf courses. Q: So earlier on you just briefly glanced over other apps. Do you have any competitors? 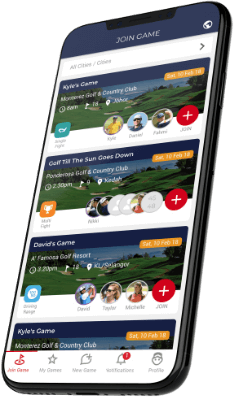 The biggest one that I know that actually took off a little bit was the Golf Match App in the U.S. But now, they have stopped doing it. The founder also quit and went to TopGolf. So they’re not doing anymore. And I think mainly because most of the people that run these kinds of apps, they are all like golfers like me. They’re passionate to want to solve the problem but did not have the other half of the skillset, which is technology, design, and digital marketing. You can’t blame them because most golfers come from a lot of traditional industries. Ie, oil and gas, construction, professional services, etc. They’re not digital marketing right, etc and I think that’s very important in our business. Q: What makes Deemples stand out from the other ones. Deemples: What I’ve heard from the feedback that we get from our users is that Deemples is very easy to use. It’s very straightforward. I want to get a golf game. I get into the app, and it’s done. We’ve also had a lot of feedback from golfers or maybe even non-golfers as well on how we should be the one stop shop for golf. To add this and that, and so everything is inside. But then it’ll be like creating another Facebook. Which we will never win. So we really stuck to what we believe were the problems and we focused there and that’s why it’s gotten us to where we are today. Q: You have introduced a handicap feature which is something that I understand a lot of people don’t have. Just out of interest, what is your handicap right now? Deemples: I don’t have an official handicap. Richard: Oh, why is that? Deemples: I don’t belong to any golf club. So I belong to the 70% of people that are homeless golfers. Q: How do you plan to expand next? Deemples: This year 2019 is going to be a very important year for us. We haven’t executed the monetisation plan yet but we are already in the process of building it. The second half of this year we’ll start testing it. Once it’s tested, then we’ll raise the next round of funds because it’s proven. We would be a less risky investment then. The goal this year is to do two things: Prove monetisation, and solidify our position in the markets that we’re already in. We’re not going to expand to new markets for now. Q: Where can people find out more information about Deemples? Where can they buy/get access, assuming it’s free for now? Deemples: Oh it will be FREE forever. Richard: There you go. Where can people find out more about it? Deemples: You can download the app on the App Store or Google Play. You can find more information on the Web site deemples.com also you can get on our Facebook page @deemplesgolf or Instagram page @deemplesgolfapp. Richard: Ladies and gentlemen who have been listening to open for business here on Enterprise. That was David Wong from Deemples. I’m Richard Bradbury. Stay tuned. More to come. You’re listening to enterprise here on BFM89.9.